Last week was pretty much a whirlwind. I’m not sure if it was the volatility of the stock market in the United States, the fact that work on the fourth bridge over the Panama Canal began in earnest, the rapid progress being made on the $28 million urbanization project in downtown Panama City or the fact that pre-construction pricing on the Arcadia residential tower in Costa del Este will be ending soon. I know that is a lot to put into one opening sentence, so let’s step back and unpack everything that is happening in terms of real estate developments. It really is a very exciting time in Panama and I’m running just to keep pace! Currently, the fourth bridge is probably the most exciting and certainly the most expensive project in Panama. A total of $1.42 billion in USD has been approved and raised to build an additional bridge spanning the Panama Canal and connecting Panama City with the interior of the country. Today, the Bridge of the Americas, carries almost six times the number of vehicles each day than it was originally designed to accommodate. Since that bridge is the primary mode of transportation coming in and out of Panama City, there is no question many frustrating minutes have been spent on the fourth bridge. Of course there are ways to minimize that traffic if you have flexibility, but the fourth bridge will open constant and easy access to Panama City to and from areas such as Panama Pacifico and Playa Bonita as well as all the beach communities along the Pacific Ocean. When completed, the bridge will have six lanes for motor traffic and a third line of the Metro will run along both sides of the highway and adjacent to the pedestrian paths and cycling lanes. There will even be a restaurant and observation deck located on one of the pillars supporting the structure. With the fourth bridge, several communities will become even more attractive to investors and individuals seeking outstanding real estate opportunities in Panama. 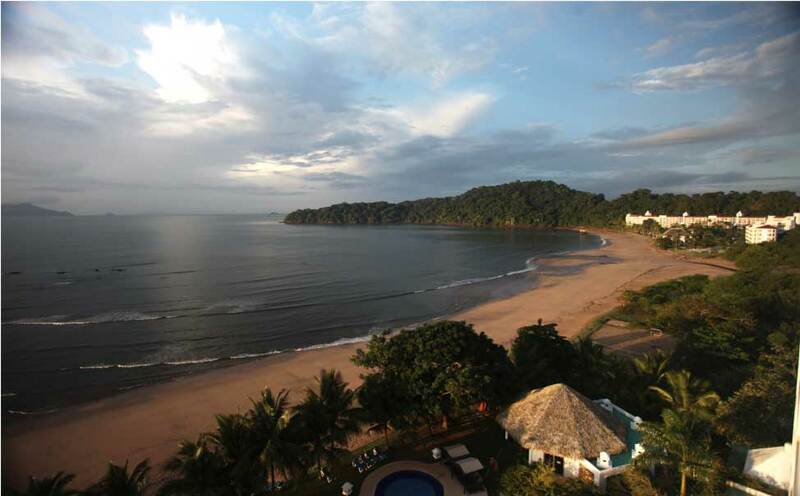 This private beach is shared by the residents of Casa Bonita and the five-star Westin Playa Bonita Resort. Once the fourth bridge is completed, residents will have easy access to Panama City. Even today, it’s only a $9 Uber ride to the some of the area’s best restaurants. Playa Bonita is a private beach, just fifteen minutes outside Panama City and it will be one of the most impacted areas once the bridge is completed. The beach is shared by residents of Casa Bonita and the five-star Playa Bonita Westin Hotel and Resort. Casa Bonita, a residential tower that offers stunning views of the Panama Canal, the mountains and rainforest, is home to international families, wealthy Panamanians and expat executives working in the city or in nearby Panama Pacifico. Casa Bonita has been completed for some time and there are a few residential units—mostly one-bedroom and the largest penthouses—which remain unsold. Lately, the developer has been willing to negotiate some of the lowest prices ever offered on these popular homes, sometimes even better than pre-construction pricing. 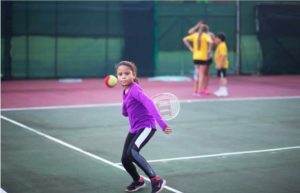 The residents of Panama Pacifico enjoy a wide variety of outdoor activities including tennis and numerous football leagues for the young and not-so-young alike! 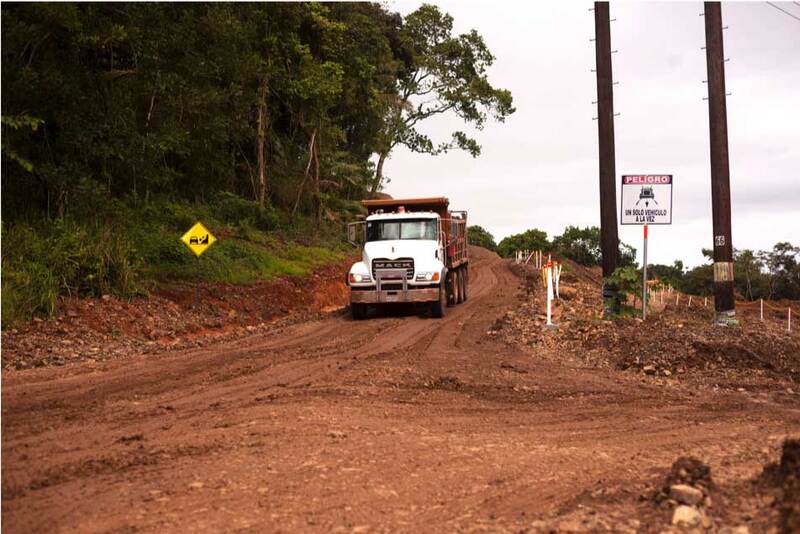 In addition to Playa Bonita, Panama Pacifico will benefit greatly from the fourth bridge. This planned, mixed use community is the original Howard Air Force Base, which includes an international airport, 3,450 acres, 40% of which is dedicated to green space and a host of other amenities such as medical offices, a grocery store, multiple international schools, a variety of restaurants and specialty retail shops. You can find just about any type of living arrangement in Panama Pacifico from small studio apartments to expansive single homes. There are currently approximately 40,000 residents and most of them enjoy the various recreational areas including a variety of pools, children’s play areas, forest trails, tennis courts and jogging paths. Construction is in high gear for the new $28 million USD urbanization project located just off Avenida Balboa in the heart of Panama City. 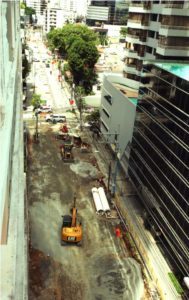 While the fourth bridge is certainly exciting, the development of the new pedestrian mall located on Calle Uruguay at Avenida Balboa in the heart of Panama City, is moving toward completion at a dizzying pace. Pope Francis is set to visit Panama for World Youth Day in late January 2019 and governmental officials made the promise to have the new urbanization project completed by that time giving the project a sense of urgency. Roads are being bulldozed and redesigned for open-air restaurants and high-end retail along with infrastructure providing greater spaces aimed at safety for pedestrians. To envision what the area will eventually look like, think Lincoln Road in Miami. There are residential towers slated to be developed in this newly urbanized area. Appropriately named Uptown, they will not be finished in time for the Pope’s visit, but the project does promise to be amazing. It has been a long time since new residential construction occurred in the heart of our capital city and this project is unique in several ways. The residential towers will offer a variety of floor plans ranging from one-bedroom to three-bedroom homes and units can be combined for even a larger living space. The Uptown residential towers will cater to individuals wishing to live within Panama City’s newest entertainment district. It’s also attractive to investors who want to capitalize on the project’s special licensing for long and short-term rental. Currently, hotels are the only structures offering short-term rentals in Panama City, but Uptown will have on-site property management and the ability to act as a hotel, but with additional amenities like a full kitchen. Pre-construction pricing and developer financing is available for the Uptown project and has been especially attractive to investors looking for additional revenue streams. The excitement is building in Costa del Este as the area continues to attract an increasingly international population. I often enjoy lunch at one of the many great restaurants located in the area, and I am always amazed at the diversity of the individuals around me. While a number of middle-class professional Panamanians are moving into Costa del Este, the main growth continues to be the employees of the more than 130 multi-national companies who have established offices there. The area carries special zoning that is advantageous to business spurring the growth and development. A perk of Costa del Este that is very distinct from Panama City is that it is located close to all the modern highways and Tocumen International Airport. The restaurants in Costa del Este are as varied as the international clientele. It just may be better than the United Nations. 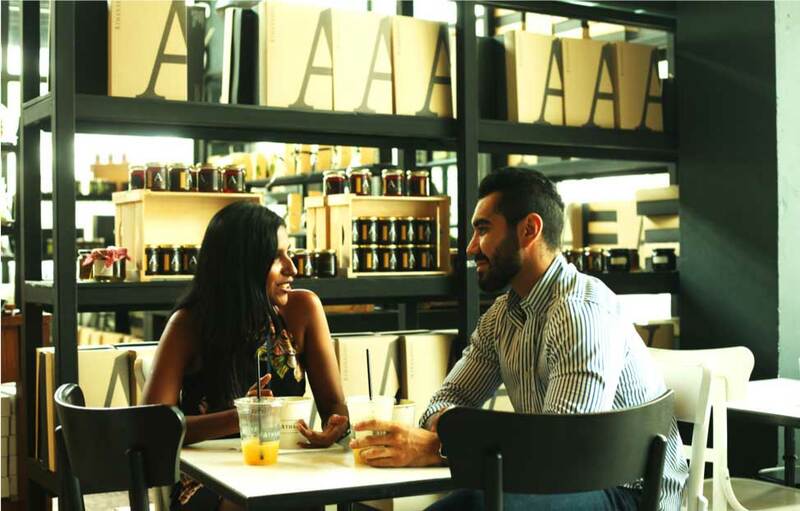 Like Uptown, Arcadia a residential tower in Costa del Este, will be able to offer both short- and long-term options along with home ownership. Many of the existing residential complexes in Costa del Este have three and four thousand square feet with maids’ quarters. The Arcadia building will offer much smaller options and is designed to be attractive to the transferred executive as well as young Panamanians looking for an easy lifestyle with lots of amenities. Currently, the only residential space in Costa del Este offering short-term rentals is The Westin Hotel, which has an average mid-week occupancy rate of 86%. With on-site management, Arcadia is a great investment for individuals wanting to profit from the booming short-term rental market. As if that wasn’t enough to make Arcadia attractive, the new Johns Hopkins International affiliated hospital is under construction there, answering the growing need for medical tourism. Individuals coming for treatment are often looking for short-term rentals with the amenities of a home making it easier for them and accompanying caregivers. Pre-construction pricing is still available for Arcadia as well as owner financing, but that will not be offered much longer as ground-breaking approaches. I’m never sure what the American stock market is going to do, but I am hearing from more and more of my clients they feel the need for diversification. I attempt to keep fairly current on the market, but lately I can’t make any sense of the wild swings. More than a 500 point loss one day and a 400 point gain the next day. Is it just a needed correction or are we in for a long-term fall? If I could predict what the American stock market was going to do, I would buy low and sell high and live happily ever after. Given I can’t, I welcome individuals to consider diversifying some of their portfolio in Panamanian real estate. The options are wonderful including close-out pricing, pre-construction pricing, developer financing, tax abatements, the opportunity to get in before the bridge is complete, it’s a wise investment opportunity with income stream possibilities. Let me know if you have any questions. I’d love to show you around everything happening in Panama, and don’t forget the Pope is visiting the last week of January! Previous Post Coming To Panama For Stem Cells? Next Post What’s It Really Like To Live On The Beach?